The price is 109900 Euro. 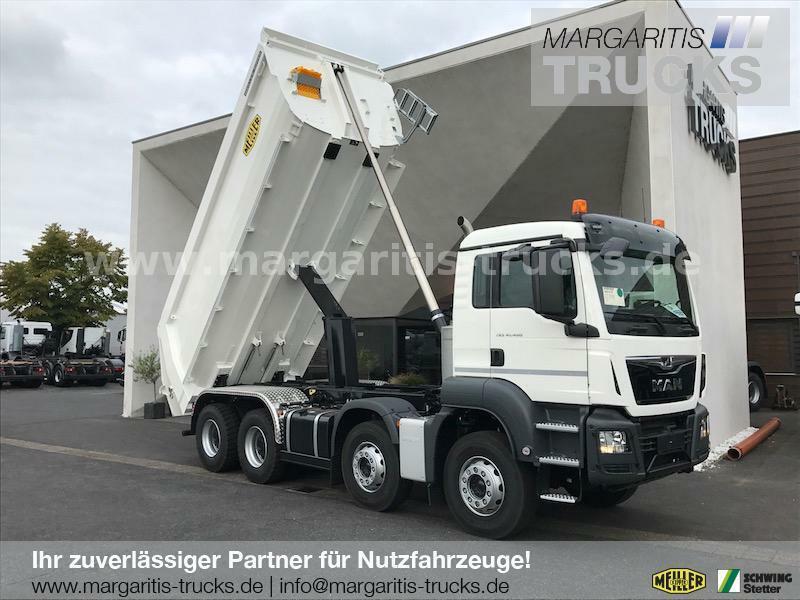 Engine/driveline: Euro 6, diesel, 460 hp, gearbox: automatic, retarder/intarder. Chassis configuration: 8x4, number of axles: 4, ABS, EBS. Cab design: cab type: day cab, air conditioner, cruise control, navigation system. Body: loading length: 5600 mm, loading width: 2300 mm, loading height: 1500 mm, loading volume: 18.00 m³.